As you have all known, I went last time to The Spa to try out their services and for some pampering session via the Express Facial and boy, did I really enjoy it. That is why I am giving you the chance to try out The Spa as well and for less. Aside from that, as a consolation price for those who might not win these GC's, I am giving out a surprise gift bag from yours truly. 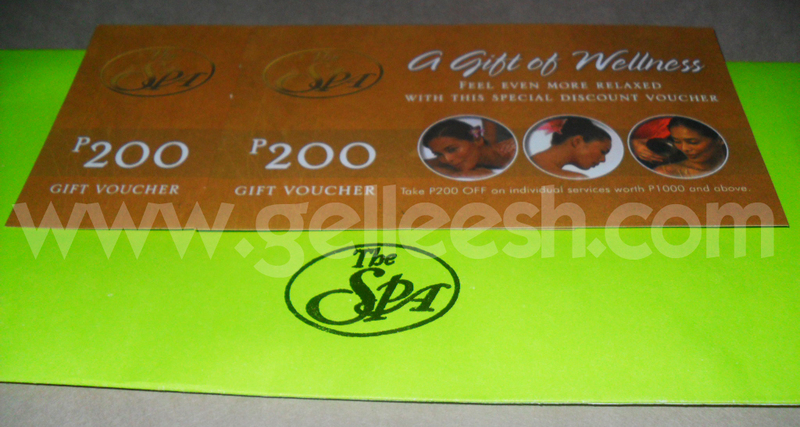 So aside from this The Spa GC, you will also be able to win a surprise gift pack. Winner, right! Why have a series of giveaways this September, you ask? It is because on the 8th, I will be turning 22 and this will serve as my thanks to all those who have supported my blog and have been my friends because of blogging. Without your support and love I won't be as happy as I am today. 4. Post the link to your post at the comments below with your Facebook name and email address so we can check if you really liked the page and if you win, we could email you immediately. Easy, right? To know more about The Spa and their services you can visit their website at: http://www.thespa.com.ph more giveaways to come and thanks again guys!